Campaign Variables are parameters added to incoming links to help identify and apply attribution to marketing campaigns. Campaign Variables were originally created for Google AdWords to help identify campaigns related to incoming traffic. However, they do not require Google AdWords and can be added to any URL. 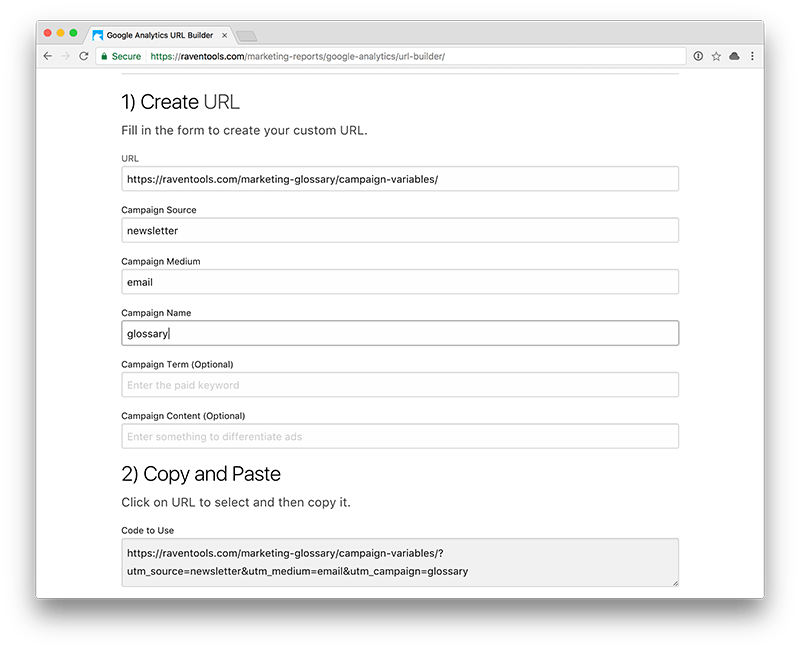 Using a URL Builder, savvy email and social media marketers can apply campaign data to the links they share on social networks. Each parameter that’s included with the link is recorded in Google Analytics when a visitor clicks on the link and visits your site. 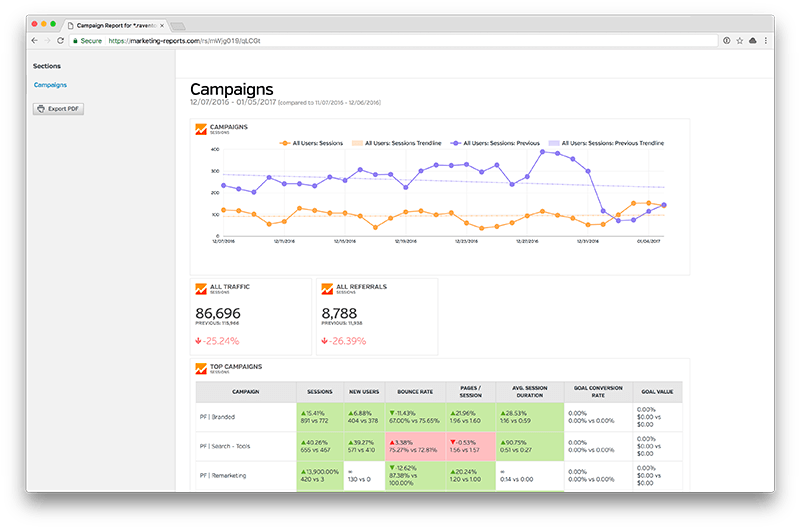 You can manually view campaign results in Google Analytics or use an automated reporting tool to keep track of progress and share with clients. Campaign Variables can make links very long. The best way to shorten the link and maintain the Campaign Variables is to use a URL shortener like YOURLS or Bitly. When a person clicks on the shortened link, YOURLS will do an SEO friendly 301 redirect to the original long URL.